Are you wondering what to do with a tree stump in your yard? Whether you have an old tree stump or you want to remove a stump of a recently cut tree we can help you. 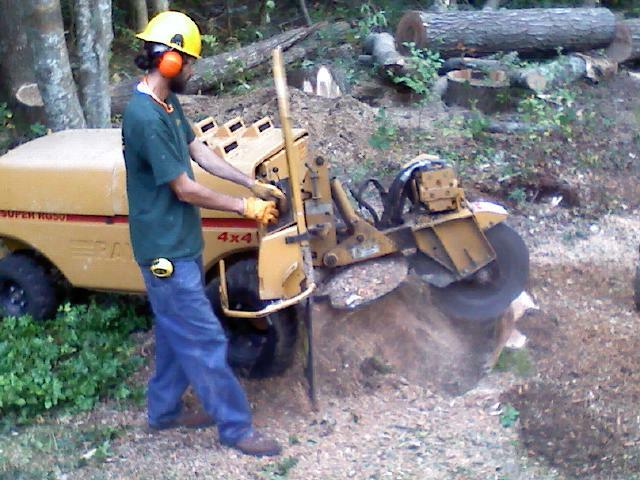 Stump grinding helps to get rid of the majority of what is left of a recently fallen or cut down tree. It grinds it up into small chips that slowly decompose into soil over time. Stump removal is the final step in the removal of a tree. There are various methods by which one can get rid of the stump, but this will largely depend on the intended use of the area. Use of a mechanical stump grinder is the fastest and most efficient method, although digging with a mechanical digger is another method that can ensure the complete removal of any stumps and roots. Once the stump grinding, or stump removal is complete the area can be back filled with top soil to allow turf to be replaced or re-planting of shrubs or young trees. 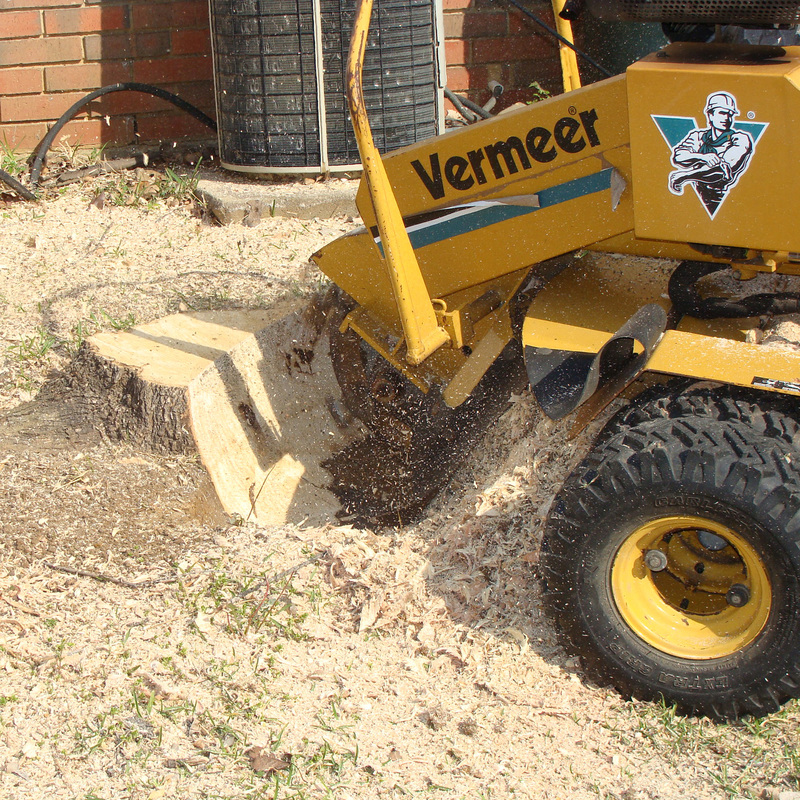 Let us handle the job for you and rid your yard of unsightly stumps. We love to help our clients and strive to work within your budget to bring about the desired results.